Eudemons are your most powerful allies in the game. In order to fight against various monsters, you will have to consider the most effective way to converge with your Eudemons. The 'Eudemon Converging auto-adjust mode' can easily solve this dilemma for you. When activated, the system will automatically adjust the Eudemon converging order according to the monsters that you meet and will always pit the most suitable Eudemon against its foe. 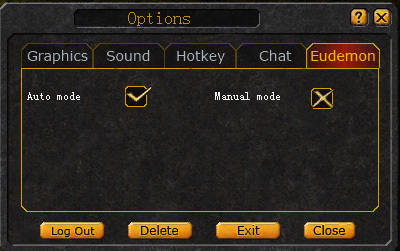 You can also adjust the order in which your Eudemons will converge manually. If selected, the Eudemon you converge with first will be on the inside and the second one will be on the outside.